Happy St. Patrick’s day! We wanted to make sure that you didn’t forget about our amazing offer with all of the festivities going on. Our 20% off sale ends tomorrow on Sunday, March 18, 2018, at 11:59 pm PT so don’t forget to take advantage of it by entering CLOVER at checkout. 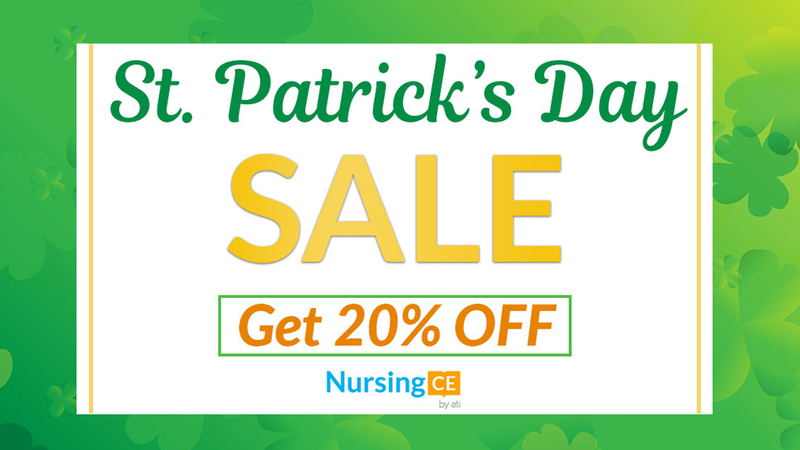 Normally, you can get up to 36 CE hours for $39 but with our 20% off sale you get those CEs for $31.20. The St. Patrick’s day promotion may not be combined with any other offers or promotions. Not valid towards gift card offers or on past purchases.